Can I create models from OBJ files? 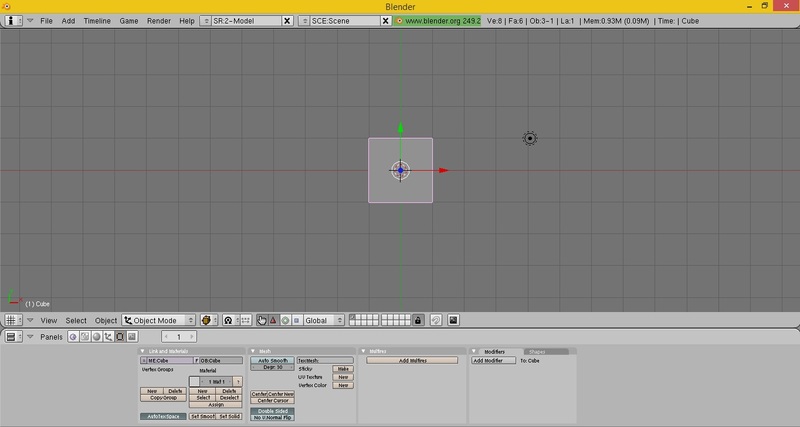 How can I make a PMD model from a .obj file for use in MikuMikuDance? Can I make MMD models from object files? Where can I get Blender? Where can I find .obj models? Create models from .OBJ files using Blender and PMDE! To put that in an MMD-perspective term, .OBJ files are sorta like accessory files. They contain a model (like a house, car, etc), but that model really can’t do anything until we make it do something. So, that being said, how are we going to convert a .OBJ file into something MMD can read? Well, we’ll need a couple of programs. 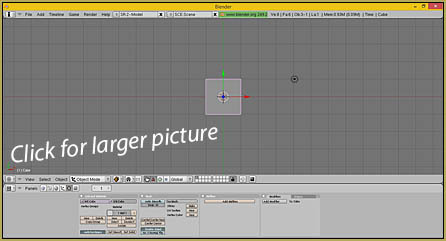 First, we’ll need Blender 2.49b, a freeware 3D modeler program. Second, we’ll need PMD Editor (which you can conveniently find on our site). If you already have those installed, then you can skip the next bit. If not, listen up! 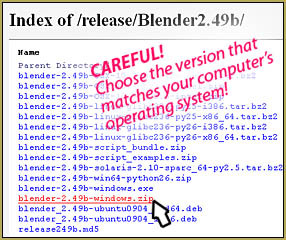 For Blender, you’ll have many different options of what to download when you look at the previous versions (second tab on the download screen), though for this project I will recommend downloading Blender 2.49b. This is because it can export a model as a .X file (I’m sure the newer versions of Blender can do that by downloading a plugin, but let’s not add extra hassle). Now, as for PMDe simply go to the Downloads page. So, we got the two softwares installed and are ready to go. Looking around Google, there are many websites that offer free models (along with paid models). Personally for myself, I enjoy TF3DM. It has a lot of free models in a variety of formats. Now, looking around the site, it may be overwhelming at first and you may have the urge to download everything you see! Well, let’s remember K.I.S.S. (Keep It Simple Stupid). For a first time conversion, let’s pick something simple and easy to work with. Ah, a pumpkin. Now, looking around the screen, you’ll notice that the apples come in .OBJ format (formats are listed below the download) and is free to use for personal use. When looking around for models, make sure you are allowed to use them and that they are in .OBJ files. Other file types don’t really work well with the conversion. Also, make sure that the file comes with textures (which will normally be listed underneath the image). If the model is pre-textured, it usually won’t survive the conversion and PMD Editor will reject it. It usually takes around twenty seconds on the TF3DM for a download to be ready, at which point the file will automatically download or take you to MediaFire. So, now that we have the file, let’s unzip it. Our folder name will be “3e1suflbyikg-Pumpkin”. Open up the folder, we’ll see the .OBJ file and texture files as well. So, seeing everything is in check, let’s load up Blender. I’ll provide the bare essentials necessary for our project. Upon loading Blender, we’ll see this rather unattractive square. The square is, here, in around the same sense that Miku would pop up on the older versions of MMD, to give modelers a quick start. For our purpose, we’ll need to delete it. Simply hit the delete key on your keyboard, and you will be asked if you want to delete the square. Click Yes, and we’ll have a blank screen ready to go. until you get to your download screen (it will take a little bit of getting used-to, but it’s not that hard) and finally your “3e1suflbyikg-Pumpkin” folder. 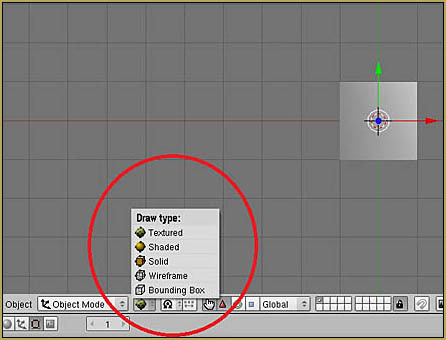 Once there, select your .OBJ file and Import it into Blender. Another screen will appear, at which point select import. Now another square will appear. This is the pumpkin (well, the square is the “bottom” of the pumpkin, the pumpkin itself is on top of the square). 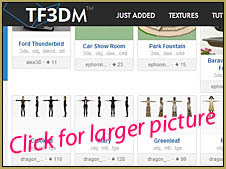 Let’s add texture now by selecting the “Draw Type” tab and then selecting “textured”. Not much difference, eh? 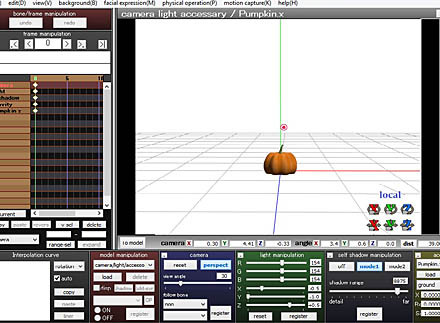 Well, let’s export the pumpkin as an .X file, by going to “File”, “Export”, and selecting the .X option (DirectX). A screen similar to the one before will appear, at which point navigate back to our pumpkin folder and save our file. and open up PMD Editor (for those of you unfamiliar with PMD/X, see this guide). With PMD editor open, we’ll go to “File” and “Import”. Once again, go to our pumpkin folder and import the file called “untitled.x”. In the new screen that appears, make sure you select “A New” under import system and not “adding” (which will cause your model to not appear). Tada! The pumpkin is in the editor! Now, at times the model will appear white which is do to texture not being read correctly (such as the file being a TGA), which will require some conversion and working around. The texture issue is another reason why we want our model to have textures, and not be pre-textured. Other times the model may appear small, which will require some working with to get to proper size. Though as you notice the model is laying at a 90 degree angle, which will require you to flip it to correct angle. So, that being said, the last thing we need to do is figure out what format we want to save it in. 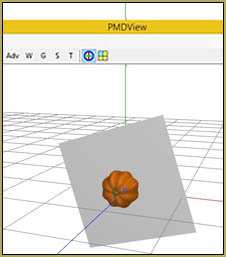 The PMD Editor we used will allow us to save the model in either .PMX format or .X format. For our pumpkin, let’s save it (export) as a .X file (accessory) file. For actual models, you would want to save them as .PMX formats (or .X to transfer to an editor that allows .PMDs). When exporting, keep the size as 1/10. 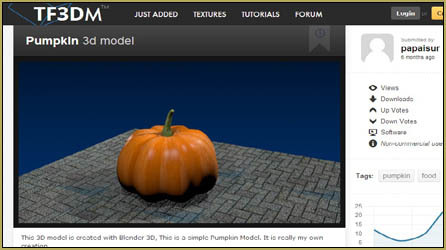 Now, load up MMD and load up our new pumpkin model! Now, keep in mind that models made this way are not fully rigged in any way or form. You’ll need to bone the model up and give it morphs for that. But this guide should help with the process of converting an .OBJ to .PMD/PMX/.X format. This process can also be tinkered with to best suit your needs, so feel free to experiment. Always giving credit to the original model maker and never distribute a completed model unless you have permission. There you go … now you know how to create models from OBJ files. If you’re more specific, we can help you figure out where the problems are. Given the only bit of information we have is “the texture is f’d up”, I’m going to guess the texture displays in a stretched, warped, or inverted format. If the texture looks weird, there is probably a problem with the UV setup. If the problem is that the texture doesn’t show up in Blender, try converting it to a .png file. Well, after I read this article, I wonder if “X. files” work with the PMD editor, (not the PMX editor, just the PMD) Because I’m not sure why, but in my computer the PMX does not work, but the PMD does, so, if I do all says in this article, and then I try to open the X. file ripped by blender, will it open it? or because it is an X. file, it will no, in the PMD editor? Yes, it can both import and export .X files. Okay, I’ll see what happens, and if something rare happens, I’ll tell you, thank you for answer. Can we do this for like a PMD model and export it as OBJ every time I try in blender I get an error is it possible to convert a PMD model to OBJ? Check this article (and its comments), maybe you’ll find what you need in there. Can you make mmd models from an android device? In short, no. Outside of Windows environment, there’s no MMD or other necessary software in existence. Nobody would bother to create them for a finger-controlled interface. I hit “Import”, “New”, and nothing happens. You mean in PMDE? After you hit “Import”, a file list is supposed to open, and a panel to select “New” option only opens after you select a file to load. Does it not happen this way? It turns out that the newest PMXE has option to import .obj files directly. If a model doesn’t show, though, you’d have to *prepare* it in order to be recognized by the Japanese soft. Open an .obj into the text editor, replace all dots with commas, then revert those that *aren’t* in float numbers back to dots (there aren’t many, but finding them might be tricky). Then save the file and Import it, selecting the .obj file type in the loading panel. Then simply fill materials’ texture fields if there are texture files present. 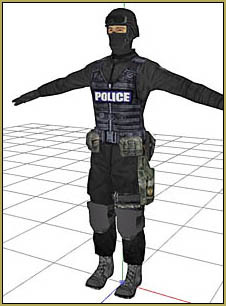 I want to make an MMD model, of an .obj file. How do i do this?? Did this article not help you?… what more… what specific questions… do you have? 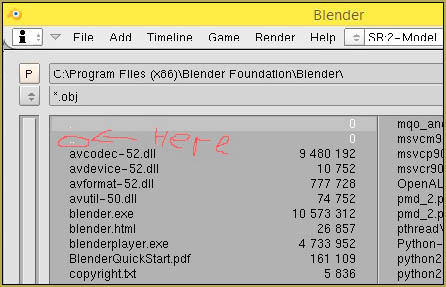 Make sure that when importing you are importing .OBJ files and not .blender files or other files. The proper import file is “wavefront” file. What sort of issue are you having? As in, possible to walk me through?